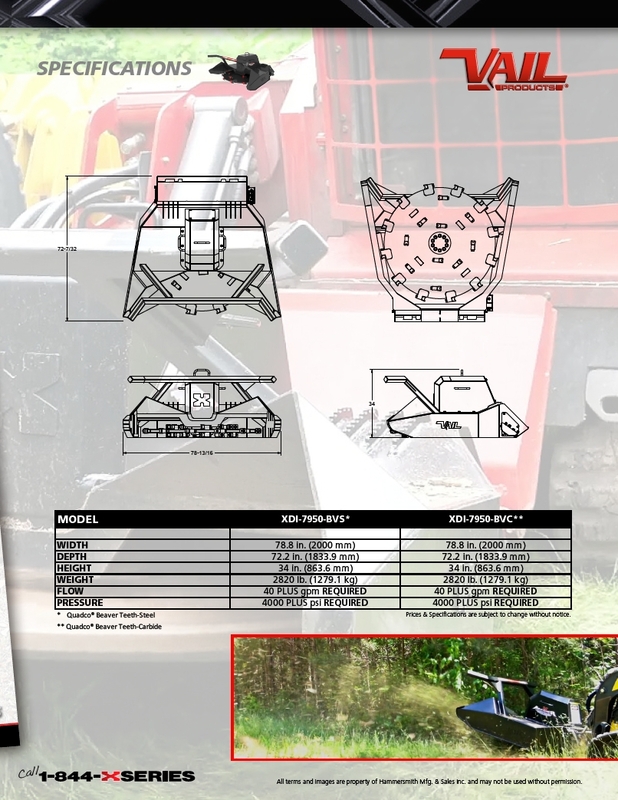 30” Fixed Head High Speed Tree Saw XSS-3020-FC	FG The perfect attachment for the Land Clearing Specialist or the farmer clearing more pasture land, the Vail Products® X Series Tree Saw features advanced manufacturing and high tech design. The Vail Products® X Series Tree Saw with its High Torque, High Speed motor options, low flow and high flow option, a 5’ offset boom for visibility, angled safety screen, precise control for below ground finishing, a 5 gal. herbicide system, Quick-Stop blade system and advanced hydraulics for longer motor life is the best attachment for cutting and clearing unwanted trees, tree limbs, dense brush and pesky shrubs… enabling landkeepers, forestry departments, landscapers, contractors, utilities, timber companies, gamekeepers and orchards to use it for clearing, log cutting and pruning. The Vail Tree Saw fits most makes and models of compact track and skid steer loaders and can fit a wide range of utility machinery.